March into Cyrodiil and the Battlegrounds to contend with your fellow players during the action-packed Midyear Mayhem encore event. Learn about how you can earn double XP, Alliance Points, and additional rewards right here! Locate the NPC called “Predicant Maera" and acquire the quest titled “Midyear Mayhem"
As always, you can keep the Scroll of Pelinal’s Ferocity and re-use it throughout the event. If you’ve lost your scroll, don’t worry, you can acquire another from Predicant Maera for 100 gold or 100 Alliance Points. As in previous events, you can earn a unique Midyear Mayhem collectible available only during this event: the Midyear Victor’s Laurel Wreath. Mayhem Connoisseur: Receive the blessing of the Whitestrake at one of the Alliance Gates during the Midyear Mayhem. Echo of Pelinal's Fury: Read a Scroll of Pelinal's Ferocity during the Midyear Mayhem. Hand of the Whitestrake: Acquire your 25th Pelinal's Midyear Boon Box. Wrath of the Whitestrake: Defeat 50 opponents during the Midyear Mayhem. Pelinavant the Scourge: Win a Battleground match during the Midyear Mayhem. Pelinaline the Bloody: Capture a Keep in Cyrodiil during the Midyear Mayhem. Pelinerrif Insurgent: Capture an Imperial District during the Midyear Mayhem. Note that access to the Imperial City DLC game pack is required in order to earn all of the above Achievements. When battling your fellow players in PvP during the Midyear Mayhem event, you’ll receive Pelinal’s Midyear Boon Boxes when you receive your regular Rewards for the Worthy containers AND as rewards from various PvP daily quests. 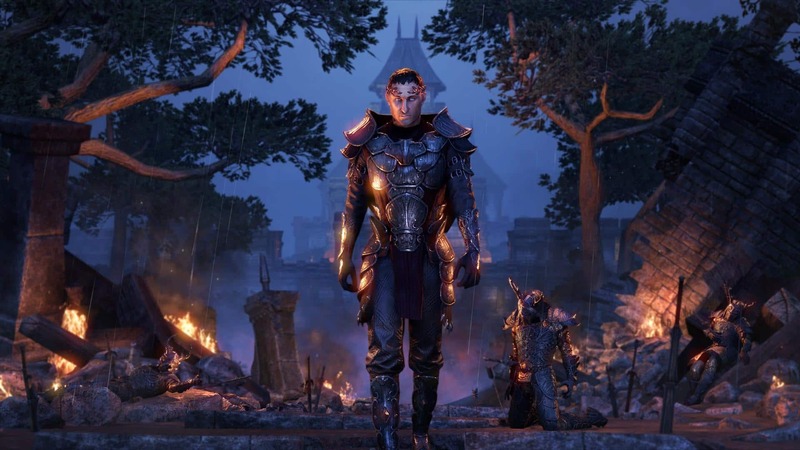 These dailies include the repeatable Town, Battle, Bounty, Conquest, Scouting, and Warfront quests in Cyrodiil and the Battlegrounds repeatable quests. In addition to this, during the event, harvesting nodes for both Cyrodiil and the Imperial City will drop double their regular resources, and the Cyrodiil merchant known as “The Golden” will stock Alliance War Legendary-quality jewelry (necklaces during the first weekend and rings during the second). Note that The Golden will not stock the PvP rings and necklaces introduced with Update 20. This includes Indomitable Fury, Spell Strategist, Battlefield Acrobat, Soldier of Anguish, Steadfast Hero, and Battalion Defender sets. 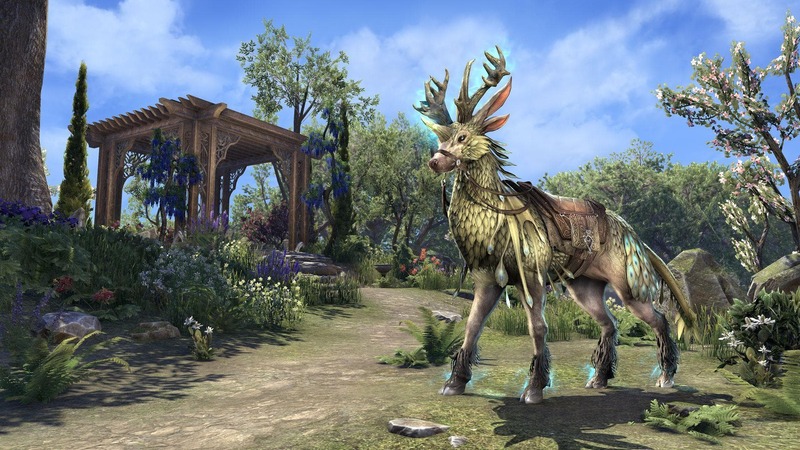 Throughout Midyear Mayhem you can also earn Event Tickets and purchase the first of the Indrik Berries required to evolve your Nascent Indrik mount into a Dawnwood Indrik mount. This event’s berries are called Dawnwood Berries of Bloom. When you complete one of these quests, you’ll receive two Event Tickets in addition to your regular rewards. Note that you can earn only two tickets per day per account and they’ll reset at 1:00AM EST each morning. Once you have acquired 10 Event Tickets, you can trade them in to the Impresario (located at a special booth in Daggerfall in Glenumbra, Davon's Watch in Stonefalls, and Vulkhel Guard in Auridon) for either an Indrik Feather or the new Dawnwood Berries of Bloom. You can acquire 22 Event Tickets during this event, and the Impresario will continue to sell all Feathers throughout, meaning if you’re still working on getting your Nascent Indrik, you have a chance to catch up! For more information on acquiring the Indrik Berries, check out our announcement article. Gather your forces and make ready for war - Midyear Mayhem is back! Bring ruin upon your enemies in Cyrodiil, the Battlegrounds, and the Imperial City to earn bonus rewards not available during any other event. Are you preparing to battle your fellow players and pick up your Indrik Berries? Let us know on Twitter @TESOnline and Facebook. The Midyear Mayhem encore event begins on Thursday, January 10 at 10:00AM EST and will end on Monday, January 21 at 10:00AM EST. If your taste for battle is not sated after this event, don’t worry, we plan to bring Midyear Mayhem back again later in the year!